Over the last few years, social selling has become a trending topic among industry experts and companies across the whole B2B spectrum. 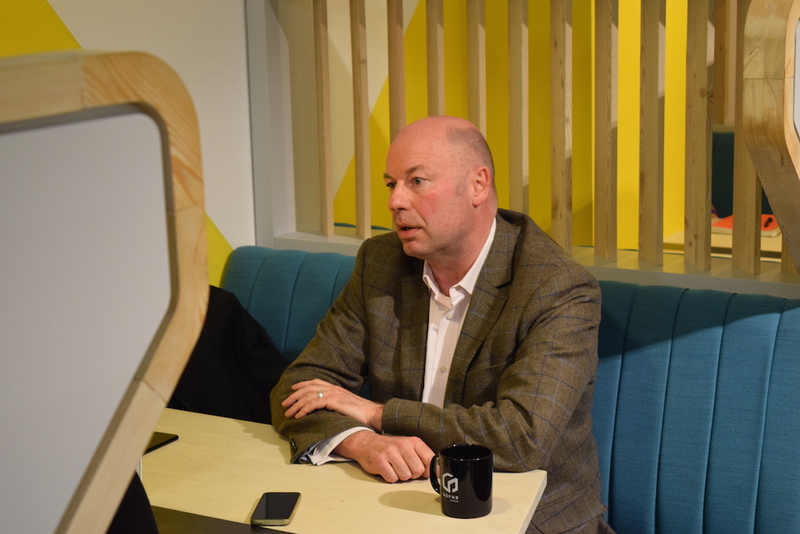 In this extremely lively environment, Timothy Hughes has become one of the go-to sources for companies wanting to activate their sales force on social media in a structured, consistent and effective way. 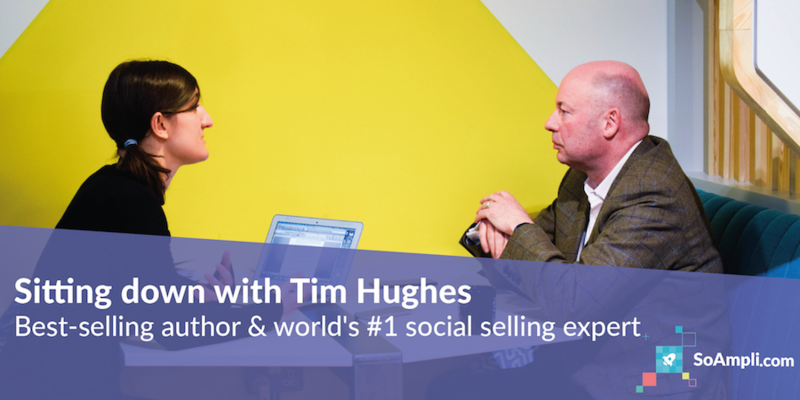 Co-author of the best-selling book “Social Selling: Techniques to Influence Buyers and Changemakers“”, Tim has built a 180K follower base on Twitter, where he shares and discusses all the latest social selling and digital marketing trends with his community. Q: Let’s go back to the beginning. 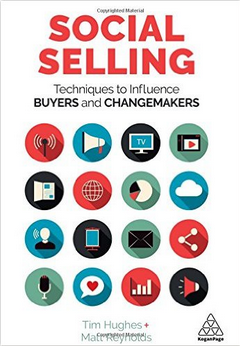 You, and social selling. How did it all start? In 2009 my manager told me I needed to get on social media, and after putting it off for around six months, I finally listened. After a few months, I was ready to take it to the next level and I decided to take a blogging course. As I was sitting there, I was told: “You need to be famous for something”. At the time, I was involved in a massive digital transformation process at Oracle, where we were taking people from selling 1 on-premises system to 5 SaaS systems at the same time. I was working with 2,000 salespeople across Europe to change the way they did sales, and part of that transformation involved social media. I was very involved in the topic, so I decided that would be what I would write about and become known for. After writing consistently about digital marketing and social selling for a year, Matt, my co-author, approached me on Twitter and asked me: “Why don’t we write a book together?”. We just didn’t feel that the narrative of social selling was being carried on in the right way. Everything I do on social media is about creating debate and getting people to think about sales and sales excellence in 2017, and writing a book about it seemed like the most natural next step. 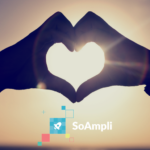 Q: Here at SoAmpli, we use social selling strategies to connect with prospects, understand their pain points and provide valuable solutions to them. What is your overall social selling strategy? At my agency, we run all our business on social, but I think it’s important to specify what I mean; there are quite a lot of people writing articles about social selling without really understanding what it is about, thinking that just because you have posted something on Linkedin prospects will come to you. I’ve been selling for 25 years, and the way I see social is that you should bring the same mentality you had in an analogue world to social media. Let me give you an example: it’s no different from when, many years ago, you’d go to a networking event. You wouldn’t stand by the door and shout: “Hey, I’m Tim Hughes and here’s 30% off my product!”. The first thing you did if you didn’t know anybody would be to join a group of people talking and listen to what they were saying. But there is nothing wrong with selling, just remember there is a difference between selling and pitching. Sending a generic message trying to sell a product or service to someone you’ve never met rarely works, but if you take the time to actually research the person you want to connect with and build a connection based on something you have in common, that’s when social selling really works. You can build up friendships and have relationships with people on social, and it’s over that time that people will buy from you. Q: The landscape of enterprise digital communications is changing. Everyone was extremely scared of social media at the beginning, but how do you see things changing? Until only a few years ago, in order to share company news with the world, you either had to take a course on how to talk to the press or you were working for a PR agency. Then, basically overnight, we went from telling staff: “Don’t talk to the press” to saying: “Don’t say anything bad, but also share our company’s good news through your social feeds”. As a result, a lot of us are confused and we just step back; now organisations are changing their approach and providing clearer directions. In my experience, the people that understand social media best are around 20% of us. They’re not necessarily the youngest, but they are the same that know how to network in real life. 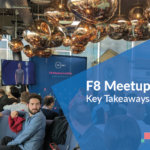 With them, the change is easy, they are naturals… but how do you get the remaining 80% of people to come along with the rest of the team? This is where the change piece is. When approaching the transition from an organisational point of view, it is crucial to have individual sessions with your employees to understand their hesitation. Even if they see the theoretical necessity for social selling, the urgent priority is still the proposal that comes in or the telephone call from the customer, and ‘Updating my LinkedIn profile’ gets left at the bottom of the to-do list for months. When people either don’t know or they’re too frightened to ask in a group how to get started, they won’t start posting. But with the right training and the right internal communications, these barriers can be brought down. Q: In your opinion, how long will it take for the whole B2B sales discipline to accept and embrace these changes? It’s hard to predict because what you see is that social requires a change of behaviour. To me, social selling is a bit like a gym membership; if you read a couple of books about exercising, sign up to the gym, but then sit on the sofa, that won’t do much. What you need is to also change your habits – go on a diet, sleep properly, train regularly. What can also make a difference is to have someone from the outside, telling you what to do and how to do it for best results. This is why I’ve set up my agency; organisations need a third party that can ultimately be their personal trainer and take them through that process, even when it is uncomfortable to do so. Q: There is a lot of talk about how social selling can help align sales and marketing. How will their relationship evolve in the future? My belief is that sales and marketing need first of all to have a common language. This could easily solve the never-ending question of “What is the definition of a lead?”, which often causes sales to complain about the quality of the leads they are given or about not getting enough meetings. Also, sales and marketing teams in all sectors should review their strategy of creating and distributing content because the way that people buy is changing. According to a Google research from a couple of years ago, most organisations are delegating the decision-making and the reviewing of systems to a group of people that are lower down in the hierarchical structure of the company compared to before. They are usually aged 26-35 and in my book we call those people ‘change-makers’. This group grew up with text messaging and the Internet, and they are used to gather information from their network before making a decision; even at work, the first thing they do is to ask their network if anybody knows any good service providers and source information from experience, and they should be a key focus of your social selling strategy.